I had a major Diet Coke addiction! I am actually far too embarrassed to tell you guys how many can, bottles, glasses and whatever else I could put it into I would drink in a week. The problem with diet sodas was that I started a new healthy eating lifestyle that I was really getting into. I was eating better, exercising, but the diet sodas were really holding me back. So I decided that I was going to stop drinking diet sodas! Well it was a lot easier said than done and I am sure some of you reading this have gone through it! But to help motivate you I want to share a few of the reasons why you need to stop drinking diet soda and swap it for good old water! 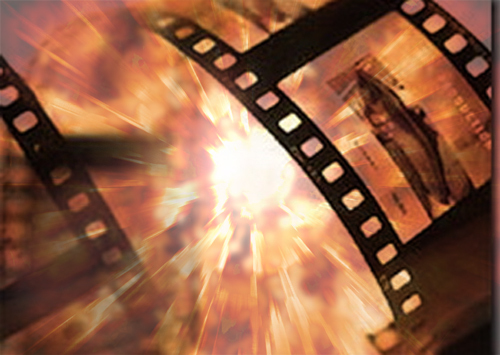 I am sure that many of you guys out there have seen the videos where a person puts a tooth in a cup of soda, usually coke, and then within like ten days the tooth is just destroyed! You see the reason for this is that the phosphoric acid that is in diet sodas just flat out causes your teeth to rot! 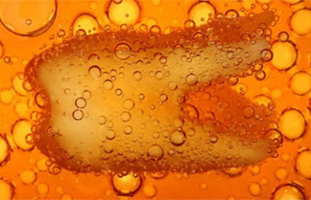 So while this may not be a health concern, no one wants to be walking around with soda destroyed teeth. What is the point in eating healthy to make yourself look great if when you smile, years of diet soda consumption has destroyed your smile? 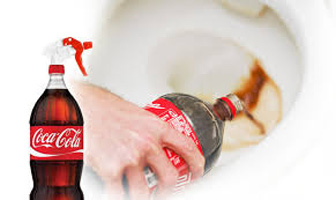 Reason To Stop Drinking Soda: You Can Use Coke To Clean Your Toilet! Now this one here is disgusting so let me apologize in advance, but it really does show you how much damage soda can do to your insides! If you have a stained toilet rather than using your regular toilet bowl cleaner if you used soda, the phosphoric acid, yes the same stuff that rots your teeth, can actually clear any stains away from your toilet. How crazy is that? That soda has the same effect as the stuff that cleans your toilet! This is a cold hard fact that soda makes you put on weight and actually even diet soda can lead to a substantial weight gain! 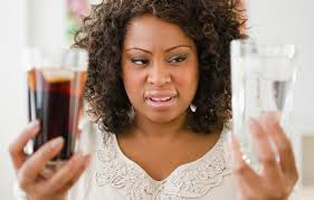 It has been said that drinking a normal, non-diet can of soda is like drinking around 20 packets of sugar and as you all know sugar can make you put on weight. It makes you crave sugar so you will be reaching for another can or something else that is filled with sugar! 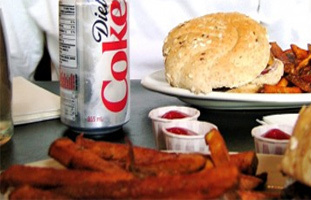 Even diet sodas have been proven to lead to gradual weight gain. The best thing to do is just cut out the diet and normal sodas all together. We already said that soda makes you gain weight, but the reasons for this are not just the sugar. You see even diet sodas have carbonation, carbonation which sticks to the fat cells in your body which makes then even harder to burn off! Also this carbonation can make you look and feel bloated. 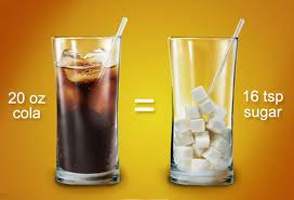 Reason To Stop Drinking Soda: You Can Lose 1 Pound A Week By Saying Good Bye To Soda! No I have not made this up. Studies have shown that if you cut out all kinds of soda from your diet that you will on average lose 1 pound per week just from doing this. Add all that up and that is a potential 52 pounds in a year! Of course the math does not really work out like that, but with exercise and you now drinking water and more healthier drinks you will be amazed at how much weight you can lose and how much better you feel as well, just because you stop drinking soda. 4 Ways To Make Running More Fun!